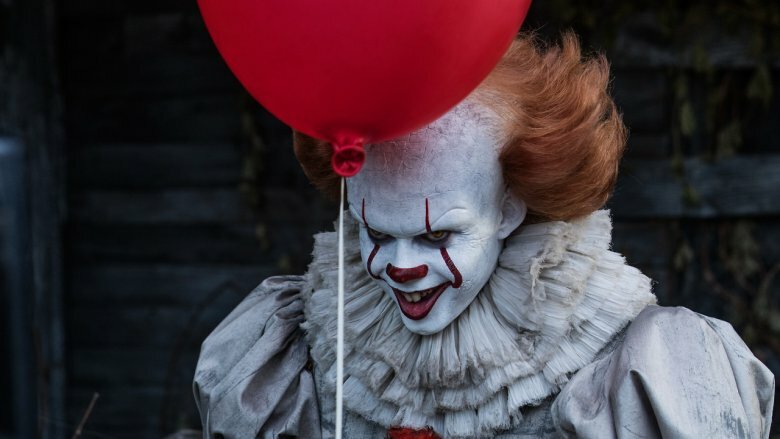 In 2017, director Andy Muschietti brought Stephen King's classic horror novel It to the big screen, earning critical acclaim and some truly massive box office returns — the adaptation now stands as the highest-grossing horror film of all time. That meant an It sequel was guaranteed, and now it's set to arrive in the fall of 2019. Like a lot of horror sequels, It: Chapter Two will feature the return of the title monster as It battles the group of humans who hoped they'd successfully killed It already. Unlike many of those sequels, though, there's a pre-planned narrative arc built in, already established by King's novel — a massive tome that pitted its protagonists against It twice: once as children, which we witnessed in It: Chapter One, and again as adults. Fans of the book (as well as the 1990 miniseries adaptation) already know at least some of what to expect, what to look hope for, and what to be anxious about. As It: Chapter Two starts taking shape, here's a look at five things worth getting excited about — and five things that might be cause for worry — about the upcoming It sequel. WARNING: Spoilers ahead for both It: Chapter One and the entirety of King's novel. One of the enduring appeals of It's structure, both as a novel and as an eventual two-part film franchise, is its ability to show us two sides of each of the protagonists — we meet them as a group of young outcasts who've dubbed themselves the Losers' Club, then see them again years later as adults. While the novel achieves this by jumping back and forth in time and the film will achieve it by splitting the narrative into two primarily chronological "chapters," both maintain the story's emphasis on how our childhoods shape us even into adulthood. 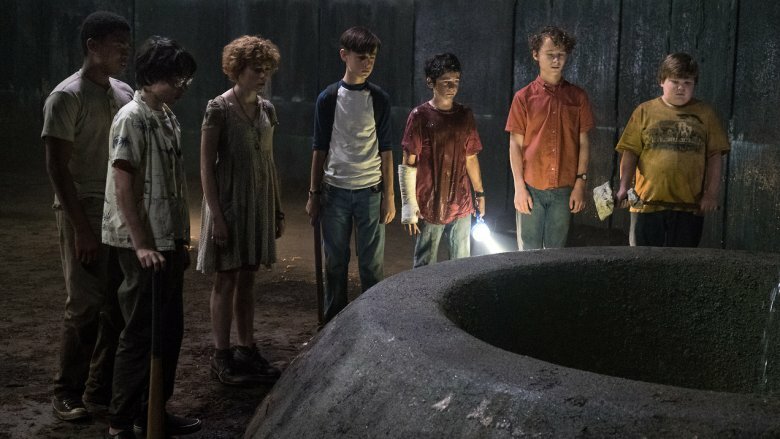 In Chapter One, director Andy Muschietti found a set of seven magnificent young actors, each capability of vulnerability and strength in their own way — and an equally remarkable group of adults must be assembled for Chapter Two. The Losers' Club kids already have their own ideas (both fans and actress Sophia Lillis agree Jessica Chastain should play the adult Beverly Marsh, which seems to be a wish that's coming true), and now with Chapter Two looming, we'll get to see which stars the production will land on. After spending more than two hours getting to know the younger sides of these characters, the idea of getting to know their older counterparts — particularly if the casting is pitch-perfect again — is exhilarating. Unfortunately, casting the same characters with actors of vastly different ages can be a double-edged sword. The good news is, as previously stated, that the younger half of the cast performed wonderfully in the first installment, shrugging off any worries about child actors being able to carry such an emotional and intense story. That problem's already solved, even if the young stars are tasked with appearing again in flashbacks. The issue now is that, due to the restructuring of the story for film, we've come to intimately know the young versions of these characters without any hint of their older selves. That could prove jarring, particularly if the casting doesn't match up. Chapter One's casting was superb, so this might not be something to be too afraid of. On the other hand, It is very much an ensemble story, and just one wrong move could potentially throw the whole sequel off. It is the quintessential scary clown story of its generation, and it reached a whole new terrified audience thanks to Tim Curry's portrayal of Pennywise in the 1990 TV miniseries adaptation. Following in Curry's footsteps with a new version of one of Stephen King's signature characters, Bill Skarsgård rose to the occasion in Chapter One. His Pennywise — sporting a strangely misshapen head and clown costume with a timeless design — was absolutely terrifying even if you don't have a clown phobia, pivoting between silly and ferocious on a dime, sometimes within a single sentence. As great as the clown performance was on its own, though, the film benefitted from Its ability to shapeshift into the fears of each of the children, offering up a variety of monstrous creations over the course of the story. Then, at the end, we got a version of Pennywise that seemed unable to hold even the clown shape for long, morphing and twisting as It fought for Its life. As the Losers' Club returns to confront the creature as adults, we can look forward to even more terrifying versions of It, and that's reason enough to look forward to the sequel — especially if it means we finally get a truly scary screen version of the spider-like form It took in the book's final act. Worried: Is the scary clown still scary? For some It fans, just seeing Skarsgård in the Pennywise makeup for the first time was enough to convince them that the new film would work. Though early looks at him were sparing, over the course of the film's marketing he became its mascot, sneering on posters and baring his teeth in trailers until he was finally fully unleashed in theaters. The look has inspired countless cosplay imitations and will likely be popping up in galleries of favorite movie monsters for years to come. That's all great, but it doesn't mean the same tricks will work twice. Like the Losers' Club in the film itself, we as an audience are now quite familiar with Skarsgård's look, voice, and movements as Pennywise, so any initial shock factor at seeing him is at the very least diminished, if not gone entirely. The iconic dancing clown definitely shouldn't be lost in the sequel, but he should be tinkered with and pushed to new limits, because predictability doesn't usually lead to terror. At one point during the final confrontation with Pennywise in Chapter One, the demented clown creature opens its mouth, then opens its mouth wider, then opens its whole head until it bathes young Beverly in an orange glow that renders her catatonic. Fans of King's novel will recognize this as a reference to the "deadlights," an inter-dimensional realm that drives humans insane at the mere sight of it. While the version of It in Chapter One is shown to be very old, very powerful and capable of assuming many forms, this is a rare reference in the film to the true complexity of its origins. In King's novel, It is explained as an extra-dimensional creature of almost god-like provenance, entering our world through a disastrous event and coming to reside beneath what would become Derry, Maine. It is impossibly old, Its true form is essentially incomprehensible to humans, and that's only a small part of the Lovecraftian weirdness than ensues during King's depiction of the final showdown with the creature. 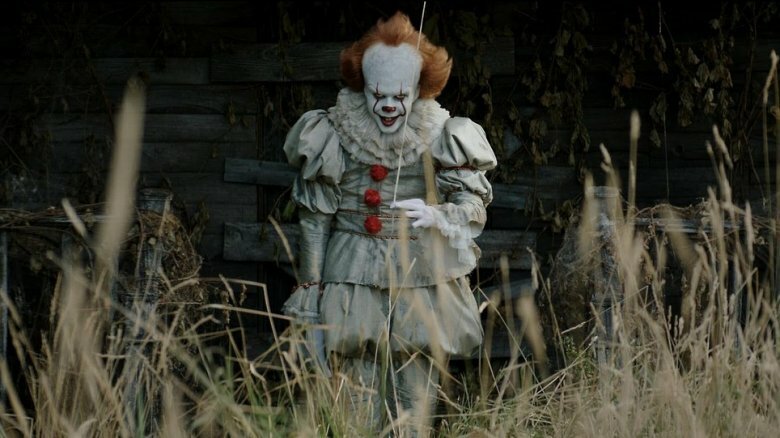 Muschietti has already promised a more "cosmic" sequel that delves into Pennywise's origins, so let's hope we get it. King's origin story for his creature is exceptionally strange, to the point that some of what we know about It is based more on the instinct and feeling of the characters who confront it than any concrete explanation. Even the parts of what It is and where It came from that are explained in a definite way can be hard to explain, which could mean that the film will attempt to simplify things a bit. In some cases, this can be a good thing, and the whittling down of a concept to make it easily digestible over the course of a two-hour film (rather than a 900-page novel) completely works. In the case of It, though, we could run into a case in which some of the source material's charm is lost along with its complexity. That doesn't mean Chapter Two should contain a 45-minute extended monologue breaking down everything we know about It, but it does mean the creature's weird cosmology shouldn't be sacrificed. In King's novel, only one member of the Losers' Club is granted an extended first-person narration: Mike Hanlon, who is the only one to stay behind and grow into adulthood in Derry. While every other member of the Club goes off to some kind of extraordinary professional success, Mike takes the role of caretaker and historian, working in the town library and chronicling the history of It, waiting for the day when he'll have to call the others back to fulfill the promise they made. It's a bittersweet existence, but it makes the adult Mike a powerful character, and a vital part of the second half of the story. 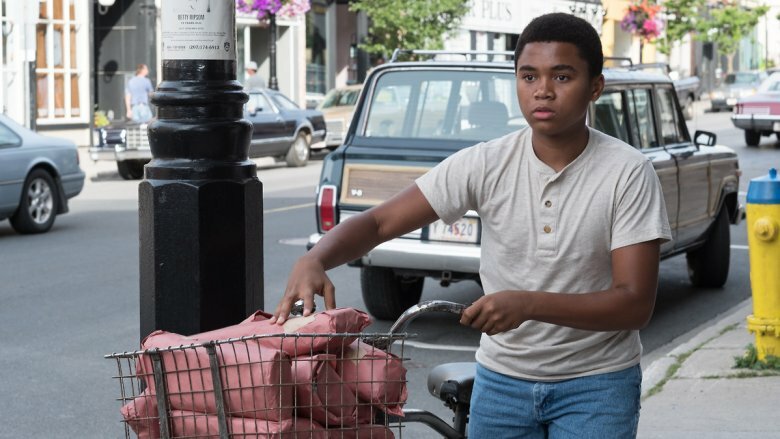 Chosen Jacobs' performance as the child version of Mike is compelling and perfectly suited to the character, but we haven't yet seen Mike's full potential in this story. If the adaptation is done correctly, the adult version of Mike will be an essential and magnetic part of Chapter Two. In fact, it wouldn't be surprising to hear him narrate the film's trailers as the resident chronicler of the terror in Derry. 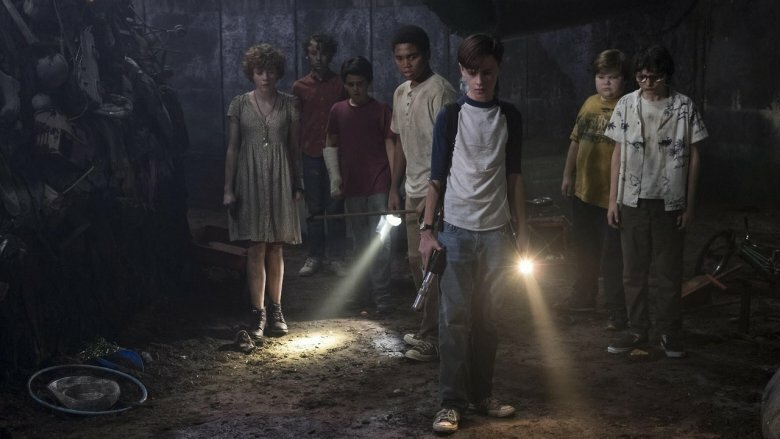 In It: Chapter One, when the Losers' Club takes their blood oath to return and battle It again if It ever returns, readers of King's novel might have noticed one tragic piece of symbolism: The first of the kids to say goodbye and leave the circle is Stanley Uris (Wyatt Oleff). It's tragic because Stanley is also the first of the Losers' Club to leave this world. In the novel, when Stanley receives the call from Mike informing him that It has awakened in Derry, he can't bear it and commits suicide rather than face the creature again. As a result, we never get to see the adult Stan battle Pennywise. We don't even actually read his death scene, as the chapter is primarily told from the point of view of his wife, who discovers his body. In the novel, this works, because we don't actually get to know Stanley as a child until after we read about the death of his adult self. His suicide serves as a catalyst for the book's horror, revealing to the reader just how horrifying the very idea of facing It is to a member of the Losers' Club. It raises the stakes. Because the films are breaking up the back-and-forth of the book's chronology, though, moviegoers already know (and hopefully love) Stanley, so simply killing him off without any real preamble becomes more difficult. If the film adaptation sticks to events as they're told in the book, and Stanley is set to die, his suicide will have to be handled with great care to give it the right amount of emotional punch. The final confrontation with Pennywise in Chapter One is thrilling, funny, and moving all at once. 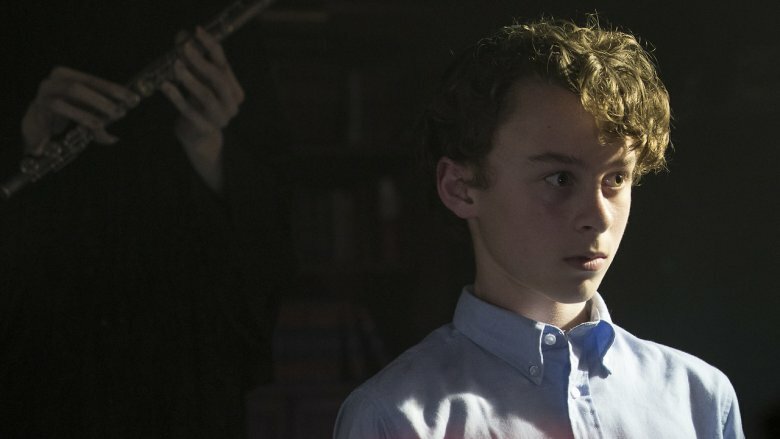 We get a truly terrifying final monologue from Skarsgård, another great monologue from Richie (Finn Wolfhard), Bill Denbrough's (Jaeden Lieberher) confrontation of his fear and his sorrow in the form of his dead brother, a great fight scene, and a moment that unites the Losers' Club in love without any of the bizarre sexual theatrics of the same moment in the novel. It's a fitting and powerful climax, which means the sequel is going to have to at least match it — and hopefully top it. There's certainly plenty in the novel to work with, from Richie and Bill engaging in a psychic battle with It to a glimpse of the true shape of the deadlights to the town of Derry literally coming apart as the creature loses Its grip on this plane of existence. If done right, the finale of Chapter Two could be one of the most epic showdowns in the history of horror cinema. Stephen King's literary output has always been marked by a juxtaposition of real, everyday horrors with supernatural ones, and It is a perfect example. As children, the Losers' Club is faced with terrors like racism (in Mike's case), child abuse and sexual assault (in Beverly's case), and bullying that often turns horrifically violent (all of the Losers face this, but Ben Hanscom in particular faces the worst of it). Years later, as the Losers' Club returns to Derry, two more real-world horrors emerge in King's narrative: homophobia and spousal abuse. 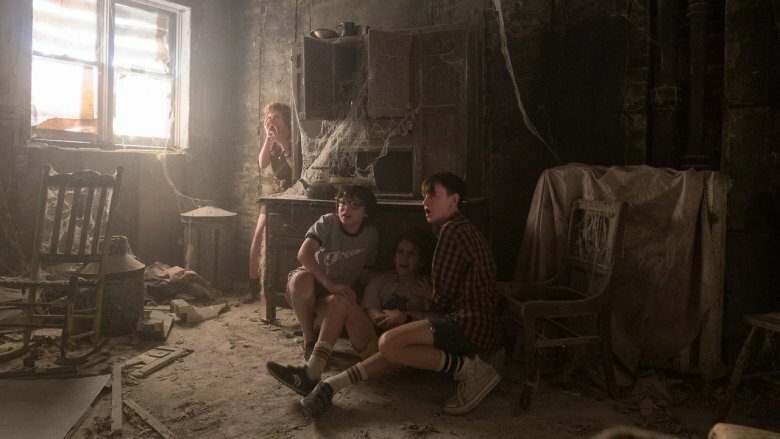 The first of these doesn't concern the Losers' Club directly, but it is part of the story of Its re-emergence after hibernation, as one of Pennywise's new victims is a gay man mutilated by the creature after being attacked along with his partner by a group of locals during a carnival. Pennywise is often directly associated with violent and hate-filled acts throughout the history of Derry, and is directly tied to this particular hate crime by the novel. Then there's Beverly, who lived with an abusive father as a child and lives with an abusive husband as an adult. Beverly's husband, Tom, is manipulated by Pennywise during the novel's final act, and is therefore an important part of the narrative both as a plot device and as another example of how It exploits malice for Its own gain. The film, which certainly didn't stray from bullying and child abuse in Chapter One, certainly shouldn't bury these issues, but neither should it exploit them for the purposes of pure terror and nothing else. They're both just as relevant now as they were when King wrote the novel, and if they're handled poorly, the entire adaptation could suffer.